At Sandia Office Supply, our mission is to save you time and money. Our wide selection of office supplies, binders and accessories plus our easy online ordering helps us do just that! Our discount office supply helps you save money on the office supplies you need, and our free next-day shipping helps you save when you need them. But your savings don’t end with our discount office supplies. Sandia Office Supply assigns a personal customer service representative to your business who can help you identify how your office supply budget is being spent and find ways to be more cost-effective. Sandia Office Supply offers free next-day shipping with no minimum order, so there’s no delay between when you need your office supplies and when you get them. We also save you time with our easy online office supplies ordering system. Ask your personal customer service representative to receive a bar code scanner to convert your catalog scans into an immediate office supplies online order. 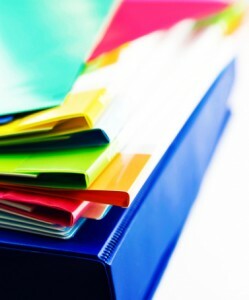 With an inventory of over 30,000 office supplies, binders and accessories are just a fraction of what we offer. Sandia Office Supply has everything you need to keep your business running smoothly and efficiently—breakroom supplies, janitorial supplies and office furniture. Contact us today to open your account with Sandia Office Supply and find out how New Mexico’s largest independently-owned office supply store can benefit you! Call 505-341-4900 or order your discount office supplies online from Sandia Office Supply of Albuquerque, NM today!